Just as we reported, Hyundai compact SUV Creta will soon arrive in India by the festive season; here, another contender, Maruti S-Cross, stood up stating the unveiling of its final cut to happen on June 7, 2015 at IIFA International Indian Film Academy Awards, in Malaysia. However, the IIFA would hold only the premier of model’s production version, while the launch is speculated to happen later this year. 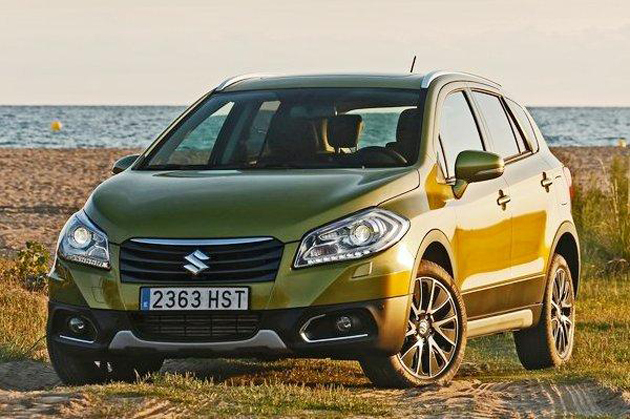 Maruti’s S-Cross is the next ticket of brand to foster into the premium segment, slotted above Rs 10 lakh. Followed by Ciaz, this newbie of Indian carmaker too will get sold in the premium showrooms which are developed recently in metro cities of India. On the unveiling at Delhi Auto expo 2014, Maruti S-Cross was more of a glamorous and sophisticated crossover, but reaching to the production it has sworn into a new image of classy off-roader with high ground clearance, plastic cladding, scuff plate and more. Meanwhile, the daytime running lights (DRLs), which has caught fancy of a lot of buyers in India, will get to hit the sales floor with alloy wheels only in top-end variant, confirmed a source. Renault Duster, Mahindra Scorpio and Nissan Terrano must better take precautions.